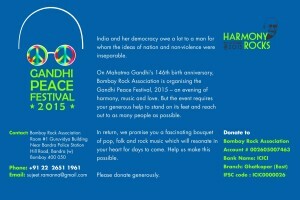 Gandhi Peace Festival on 2nd October from 6.00 pm to 10. pm at Bandra Amphitheatre near Taj Landsend. Please mobilize, volunteer and contribute financially. Concept: The yearning of Peace within our lives or at the borders is an eternal quest. This quest is characterized by obstacles at every juncture. As towering as those obstacles are, the surge of Peace, though slow, is steady and persistent, and eventually dissolves those obstacles on the way. And by that definition is also, its immeasurable strength. It moves to address all issues with objectivity and without favor. Truth and Non-Violence as M K Gandhi described it is ‘as old as the hills’. And as an embodiment of the spirit, Gandhi showed the world immersed in a cauldron of warring sides, how to deal in a civil manner and find solutions keeping in mind the contention of both sides and arriving at a solution with win-win for both sides, without violence or destruction. This unique way of arriving at solutions, was something the world sat up and took notice. And ever since the path of military solution (some might say, a contradiction in terms!) as was advocated by the sheer culture of violence that mankind has witnessed was referred to as the only choice, this new alternative form of REAL solution came to be. The Peace constituency influenced by Gandhi’s teachings have emerged time and again as more resolute and a long lasting alternative solution, compared to the military solution (as history is our witness), only starts more conflicts instead of ending one. It is this ‘old as the hills’ spirit of peaceful negotiation of Gandhi, that reawakens in people from time to time in different parts of the world, as a way to find a solution to the problems of this troubled world. It is in this context, we on his birthday present a tribute and a pledge to continuing this priceless legacy of Gandhi. Event Details:This is a LIVE MUSIC event featuring artists from across the country. 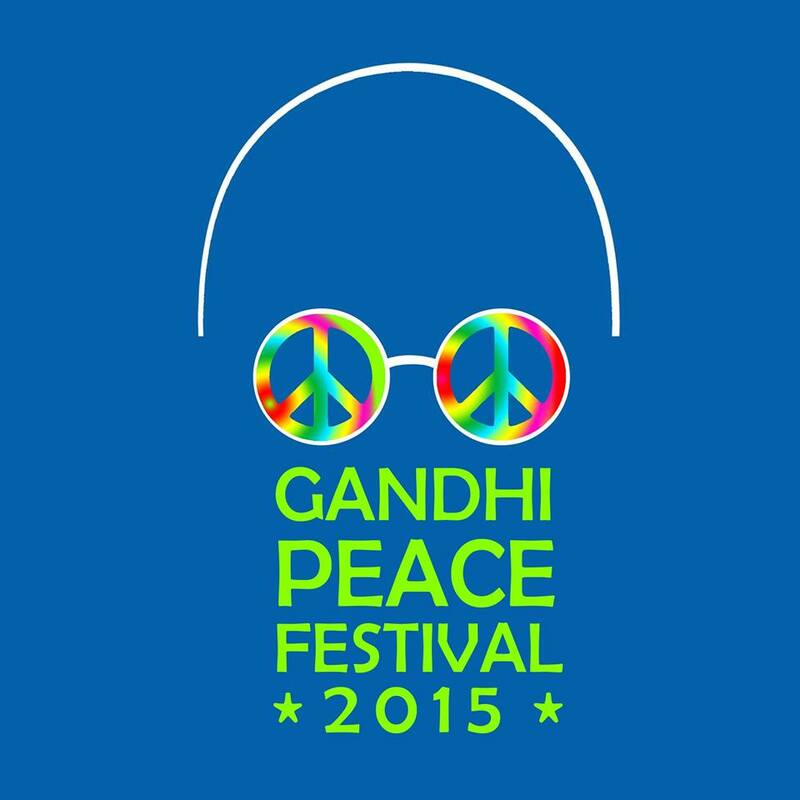 The central theme of the show will be Gandhi’s values, expressed by artists throughout the show. The artists performing have been chosen on the basis of their similarities with the values of Gandhi.. The show will start at 6 pm and end at 10 pm. It will be held at the Bandra Amphitheatre, next to the Taj Land’s End on Friday, 2nd Oct 2015. The audience will mainly consist of the youth. The genres of the artists, will be a mix of Folk, Pop, Rap and Rock.